Following Popper, Lee, Duport and Battanchon, the Merk studies were the second to last etude recording of the big project. I first played them when I was ten years old and learning from Wilfried Tachezi at the Brucknerkonservatorium in Linz. Professor Tachezi had been a student of Richard Krotschak, a legendary principal cellist of the Vienna Philharmonic who was also the teacher of his successor Franz Bartolomey. In Vienna, Josef Merk's etudes were never completely forgotten, and I still think they are amongst the best without thumb position. 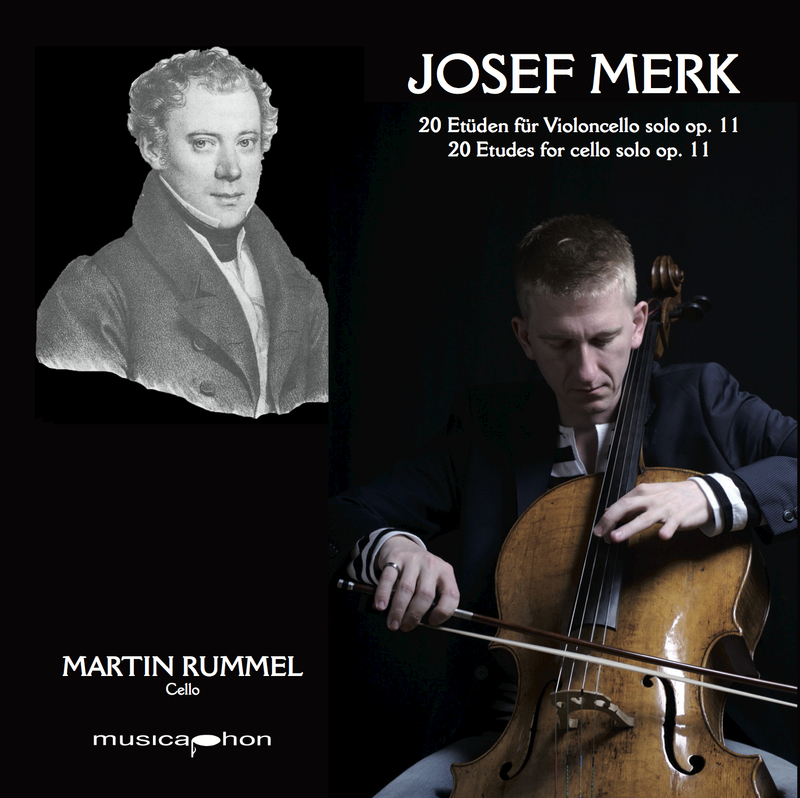 Probably as a result of my Bärenreiter edition, I am now delighted to see that these etudes are gradually coming back into the standard education repertoire for cellists (where they used to be in the 19th century - I am almost certain that Grützmacher used them, otherwise the similarity of some of his to Merk's studies would be a rather miraculous coincidence). In the late 19th and early 20th century, there was an edition by Julius Klengel that kept them alive, even if Klengel had made some adaptations in terms of dynamics and phrasings. Having done both the edition and this recording with the necessary research into Merk's life, it became clear that he seems to have been one of the most interesting figures of the Viennese musical circles of the early 19th century: a friend of Schubert and Chopin (who dedicated his Introduction and Polonaise op 3 to Merk) , he was a professor at the conservatory and principal cellist of the opera. Looking into his life led me to some of his concert music which then resulted in another CD - have a look!